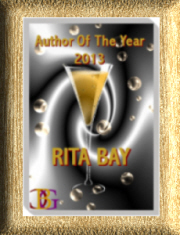 Rita Bay’s Blog in January will feature daily posts on Discoveries & Inventions. One of the earliest discoveries was the use of fire. 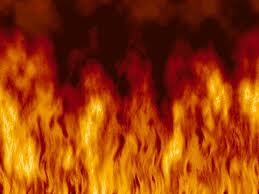 Fire was used for light, heat, cooking, clearing, and to make stone tools and ceramics. Despite the mythological story of man being given fire by Prometheus (who ended up tied to a rock getting his guts eaten every day by birds for his gift), certain evidence for the controlled use of fire dates from the Early Stone age about 400,000 years ago in Israel, China, and Europe. A recent discovery at Gesher Benot Ya’aqov in Israel, however, evidently has set that date back to 750,000 years ago. 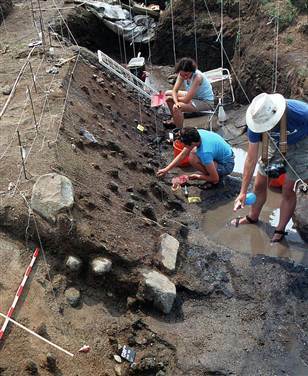 Archaeologists discovered remains of burned wood, tiny flint pieces, bones with cut marks and a variety of grains.